The Faculty of Medicine Graduate & Postdoctoral Education Office is dedicated to providing further levels of support to that provided by the UBC Postdoctoral Fellows Office, as well as to developing and implementing professional development opportunities for all Postdoctoral Fellows in the Faculty of Medicine. 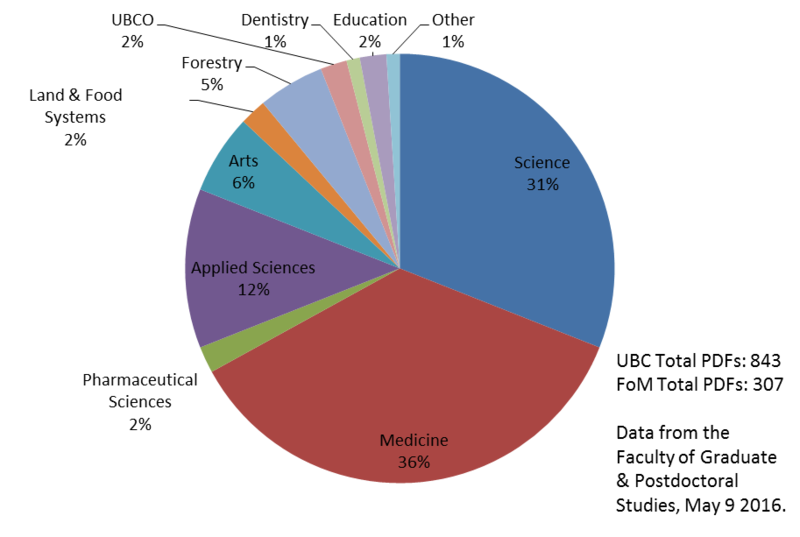 Medicine holds the highest number of Postdoctoral Fellows at UBC, comprising of 36% of this larger group of trainees. Faculty of Medicine Postdoctoral Fellows are a diverse group of young career researchers that are situated throughout almost all of the Faculty’s many Departments, Schools, Research Centres and Institutes. Dr. Wendy Robinson, Assistant Dean of Graduate and Postdoctoral Education and a Professor in the Department of Medical Genetics. She can be reached by writing the GPE Office at: med.research@ubc.ca. UBC Postdoctoral Association: Provides peer support, social activities, and helpful information for Postdoctoral Fellows.